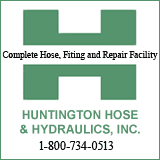 HUNTINGTON, W.Va. – What happens to one of college basketball’s highest scoring teams when one of the nation’s highest scoring duos doesn’t score? Well, it turns out, nothing. Zip, zero, nada … just like the points that tandem produced in the first half here Thursday night. The final score, a decisive 85-66 win for the Marshall men’s basketball team against Southern Mississippi in the Conference USA opener for both teams, would suggest the homestanding Herd was in usual form at home. But before the ball was tipped inside the Henderson Center, Marshall (10-4, 1-0 Conference USA) knew it would have to overcome the absence of its second-leading scorer, C.J. Burks, who was battling a stomach bug. That seemingly left little margin for error. And then the other half of the duo, Jon Elmore, couldn’t score either. The seventh-best scorer in college hoops this season, Elmore played every minute of the first half and did not have a single point at intermission. The halftime box score left fourth-year coach Dan D’Antoni a bit perplexed. Elmore eventually made his way to 13 points, the 49th consecutive game he has reached double figures. He also added 11 assists and eight rebounds as Marshall’s lead ballooned to as many as 24 points in the second half. A crowd of 5,537 watched as the Thundering Herd won its 10th consecutive game at home. The Herd is 9-0 at home this season, winning those games by an averaging of 14.7 points. Marshall won by double digits at home for the fifth time this season, and Thursday’s game had little drama. Elmore, who entered conference play averaging 23.7 points per game, had seven assists before he scored a point. He stayed on the floor through his shooting struggles and involved teammates, who alternated having the hot hand. Freshman guard Jarrod West was the first to step into the scoring void, hitting 4 of 5 three-point attempts in the first half. He scored 14 of his 15 points in the first half. West opened the game with a 3-pointer from the right wing after Southern Miss (7-7, 0-1 Conference USA) scored the first 5 points of the game. That started a 9-0 run that put the Herd ahead. West and junior forward Adjin Penava took care of all of the scoring in a 7-0 first half run that flipped an 11-9 deficit into a 16-11 lead for MU. West added 3-pointers to make it 19-13, 24-16 and 27-18 before handing off more of the scoring load to Penava, the team’s third-leading scorer on the season. Penava finished with 18 points, 15 rebounds and four blocked shots. Meanwhile, Elmore put together his fourth game with double-digit assists this season. All scorers, however, took a back seat to junior guard Rondale Watson, who had his best game at Marshall. Watson, in his third game with the Herd, finished with a game-high 20 points on 8 of 13 shooting and 2 of 5 from 3. He combined for 22 points in his first two games this season. “It was difficult for me coaching this game because the lineups were different,” D’Antoni said. By the end of the first half, everyone seemed to have adjusted. Penava scored the final points of the first half to push the score to double figures, and Southern Miss never got any closer in the second half. Elmore scored his first point on a free throw with 18:04 left of the second half to give the Herd a 13-point lead. A Penava dunk pushed the lead to 14 points moments later. Watson dunked to make it 50-32, which forced USM to call a timeout. Watson scored 5 points in a 16-second stretch to give the Herd a 24-point lead, 74-50, with 6:52 left. NOTES: Penava’s first basket gave him 500 points for his three-year career … Penava, the nation’s leading shot blocker, moved into No. 8 in program history in career blocks, passing Mark Patton (111). Penava has 114 career rejections … Penava also moved up the single-season list with 68 blocks this season, passing Jean Francois Bro Grebe, who had 65 blocks during the 2006-07 season … Penava is third on the single-season blocks list behind Hassan Whiteside (182, 2009-10) and Omar Roland (101, 1989-90). 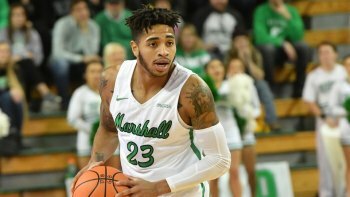 Penava needed only 14 games to post the third-best season for blocks in Herd history … Marshall has won 19 consecutive home games in the months of November and December … The Herd is 32-5 at home in its last 37 games … MU has won three consecutive Conference USA openers and three straight C-USA home openers under D’Antoni … Marshall became the first C-USA team to 10 overall wins this season.